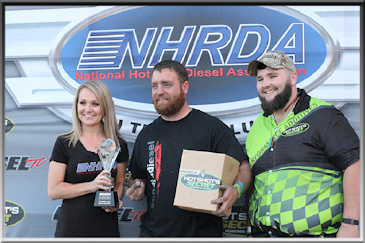 Jared Jones and the Scheid Diesel Dragster dominated the NHRDA World Finals as he was #1 qualifier, Top Speed and Low ET for the event. Jones defeated former World Champ Wade Moody in the final round. Moody got to the finals after defeating the 2017 Top Diesel National Champion Dawna Kraus in the semi-finals.